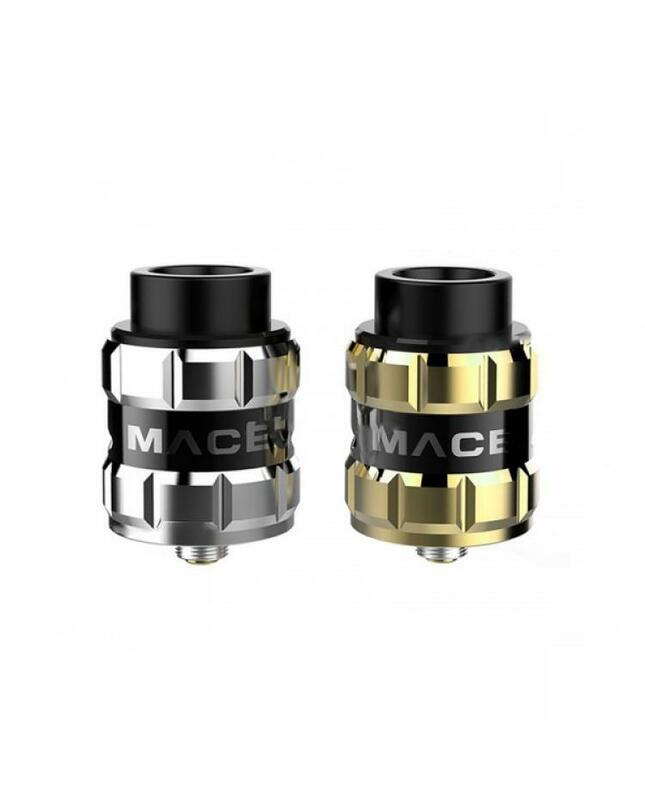 Ample company newest RDA atomizer mace BF, made of high-quality stainless steel material, two fashionable colors available, all parts of mace RDA detachable, convenient to clean and install the pre-made coils and organic cotton, convex-concave top cap, easy to take out. 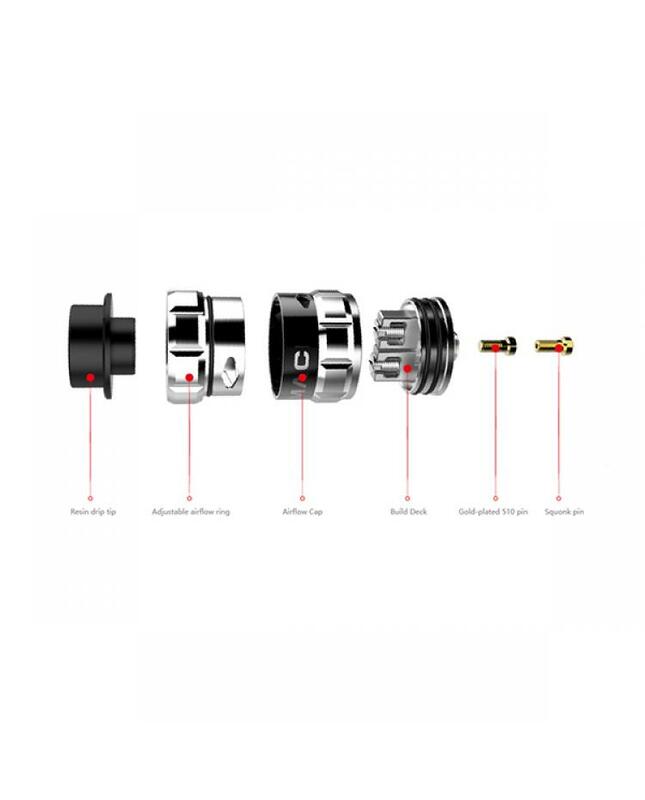 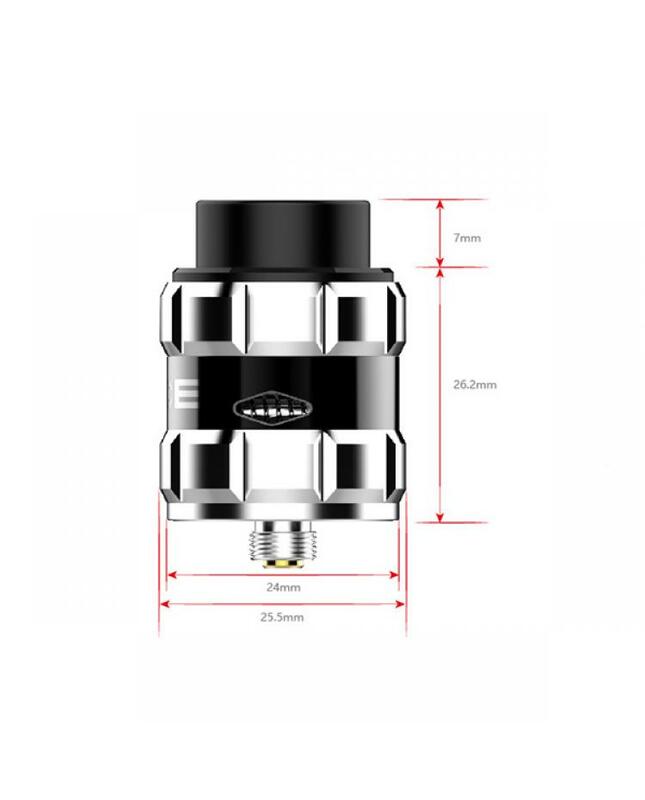 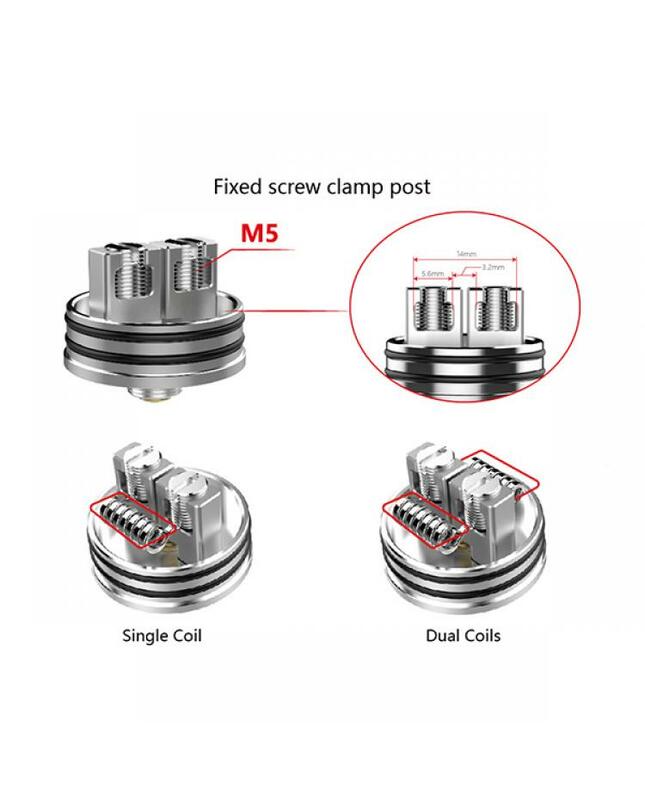 the ample RDA comes with fixed screw clamp post building deck, supports single coil and dual coils, easy to install the coils with the different type size, width. 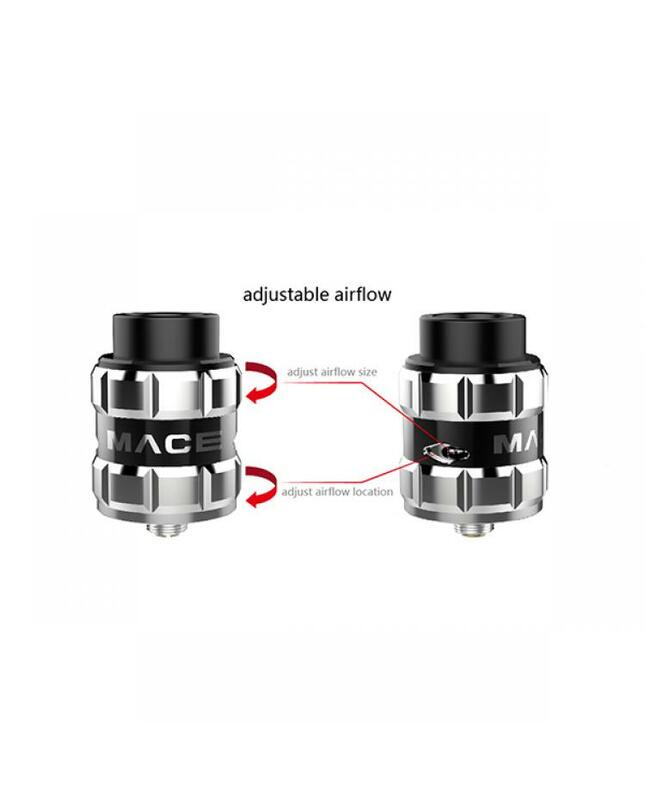 simple convenient anti-slip top cap design, prismatic airflow holes in the middle, the air hit the wire closer, vapers only rotate the top cap to adjust the airflow, it will produce a large cloud of vapor and pure flavor.